Max’s Restaurant offers a wide selection of Rice Bowls that will surely amp up your mood and satisfy your cravings for delicious and filling Filipino food. 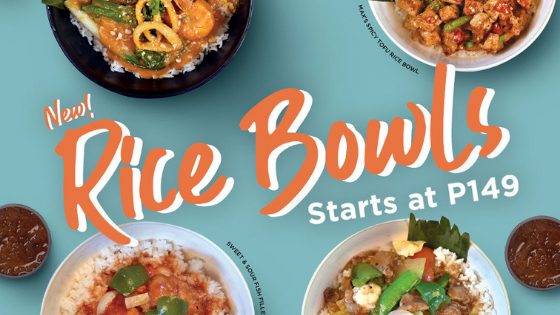 Starting at PHP 149, there are different rice bowls that will match your mood. 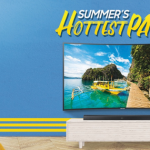 They have Sizzling Chicken made with coarsely chopped fried chicken and chicken liver that will surely make you feel like a winner; the Adobo Ribs which offers a unique twist on the classic taste of the well-loved adobo; and the Beef Caldereta which is made with fork-tender beef chunks in thick sauce topped with fried potatoes and carrots. If you want something classic, Max’s Restaurant also have your classic Pinoy favorites in a rice bowl. There’s a Crispy Patata rice bowl, served with banana slices and atchara, traditionally made Kare-Kare rice bowl, Bangus Belly Paksiw, and the Fish Fillet in Black Bean Sauce rice bowl. 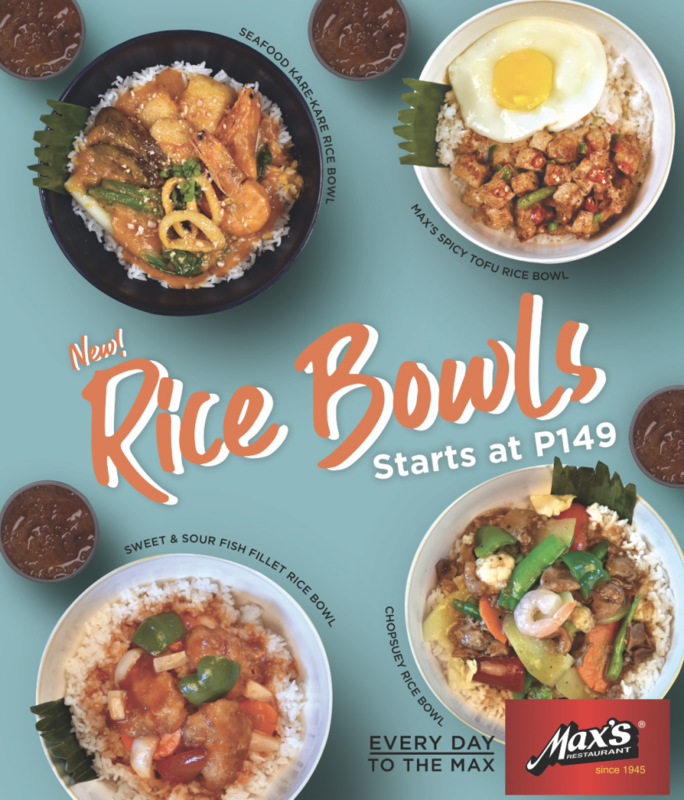 To put you in a good mood, Max’s Restaurant introduced four (4) new rice bowl — the Seafood Kare-Kare Rice Bowl that is made with a combination of shrimp, squid, and fish; the Max’s Spicy Tofu which are tossed in a special spicy mayo base and served with a side of fried egg; the Sweet and Sour Fish Fillet Rice Bowl, and the Chopsuey rice bowl which features a symphony of sautéed fresh vegetables, pork, shrimp, and chicken liver and gizzard. Now with over ten flavors to choose from, customers can now enjoy real food that matches their mood with Max’s Rice Bowls. 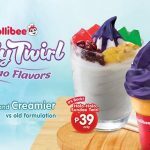 With these new offerings, diners have another reason to celebrate Every Day To The Max! To know more about their latest offerings and promo, follow Max’s Restaurant on Facebook.